The StiffClip LB series connects exterior wall studs to the building's structure through a unique design incorporating the use of stiffened legs of a 90 degree angle to increase bending strength. StiffClip LB resists horizontal and vertical loads. 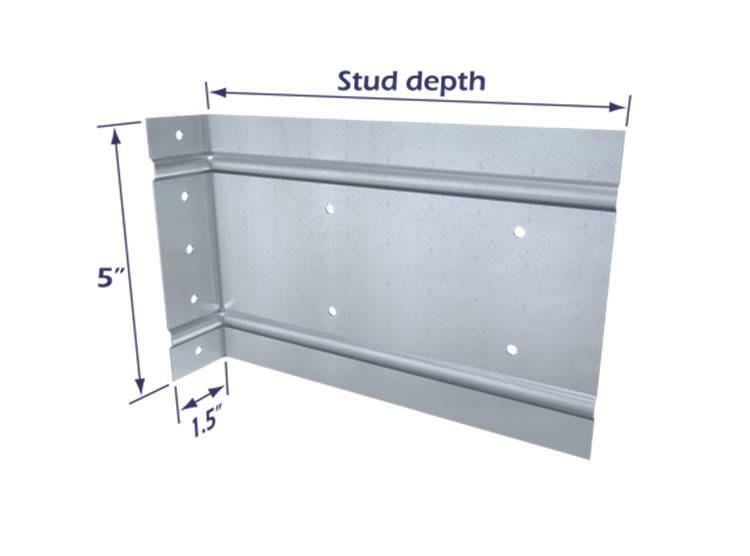 The allowable design load table shown below is based on the use of StiffClip LB as it is attached to various steel stud depths, material thicknesses and yield strengths. Design loads consider loads on the clip and #12 screw fasteners to the stud web. Pre-drilled guide holes in each leg allow for greater installation efficiency.